We have previously covered updates for Player Unknown BattleGrounds Mobile version 0.7.1. Once again, China is the first to get the new PUBG update. 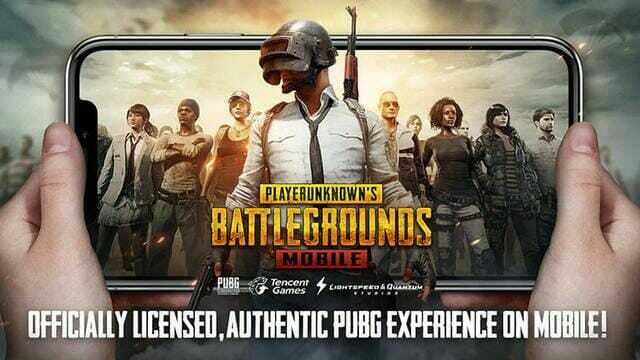 We will show you how to download PUBG Mobile 0.8.6 version in this article. Go to Security settings and enable Installations from Unknown Sources. Go to FileExplorer and click on the downloaded APK. Install the APK and enable permissions. Simply go to the App store and download the update. What’s New in this PUBG Mobile Chinese Light Speed Update? 1. The new rainforest map "Sano" is open, players can select the rainforest map to match in the map selection. 3. Add the “Season Archives” function, which can be accessed in the in-game season interface to view the data of the previous season. 5. Add the vehicle: bulletproof UAS jeep and muscle sports car. 1. Add a new party season of “passionate summer”. After the season is turned on, players can go to participate in passion parties. 2. Added "Season Pass" system. Throughout the season, players can earn a season pass badge, improve pass levels, and receive rich rewards by completing weekly challenges, season challenge missions, and participating in operational activities. 3. The “segment reward” system was adjusted, and the original season rewards moved to the season challenge, and the completion conditions remained unchanged. 4. Add a season treasure chest, players can get a treasure chest every day in the season interface, the higher the highest position, the better the treasure chest reward. 5. With the addition of guns, players can change their guns in the gun magazine. 1) New players enter the game, you can enter the boot camp, and you can get various rewards for completing the tasks in the boot camp within 7 days. 2) Players with existing characters can also complete a training camp mission after landing the game and receive rewards. PUBG Mobile developer Tencent is supporting the game as required to optimize the experience as much as possible on Mobile Phones with new maps, bug fixes and more. PUBG Mobile is supported with iPhone 5s and above with software version, 9.0 or later with iPhone 6 recommended for optimal performance. For Android, players should ensure that the version of Android is 5.1.1 Lollipop or later with at least 2 GB of RAM. Have you been playing PUBG? How many hours have you poured into this massive multiplayer battle royale? Let us know in the comments!